Fall migration is in full swing in New England and I’ve seen some spectacular birding sights along this coastal region of New Hampshire. Many of these migratory birds I see when I’m out and about but if I was not a gardener, I’d miss some of my favorite little friends right in my own back yard. 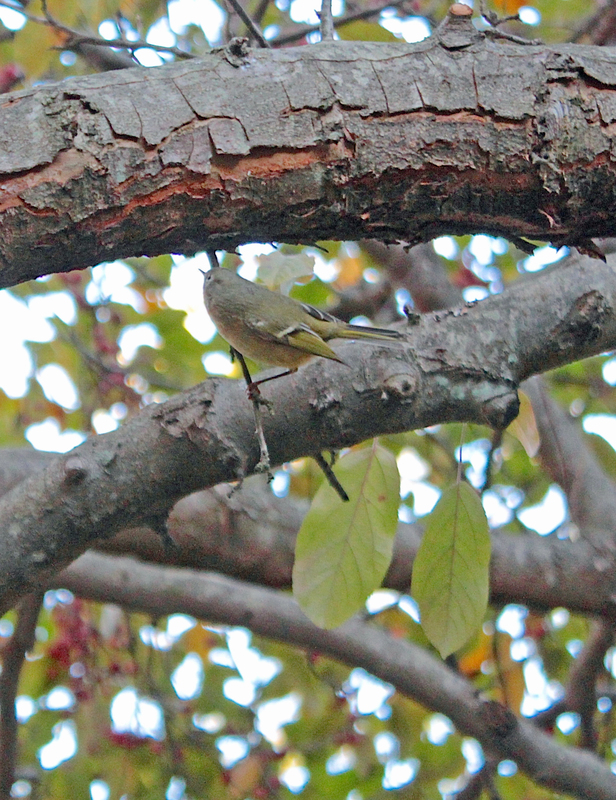 Yesterday, while adding a new border and path beneath the crab apple tree, I heard a familiar jit-jit-jit-jit and knew I was being visited by the tiniest of birds, the kinglet. 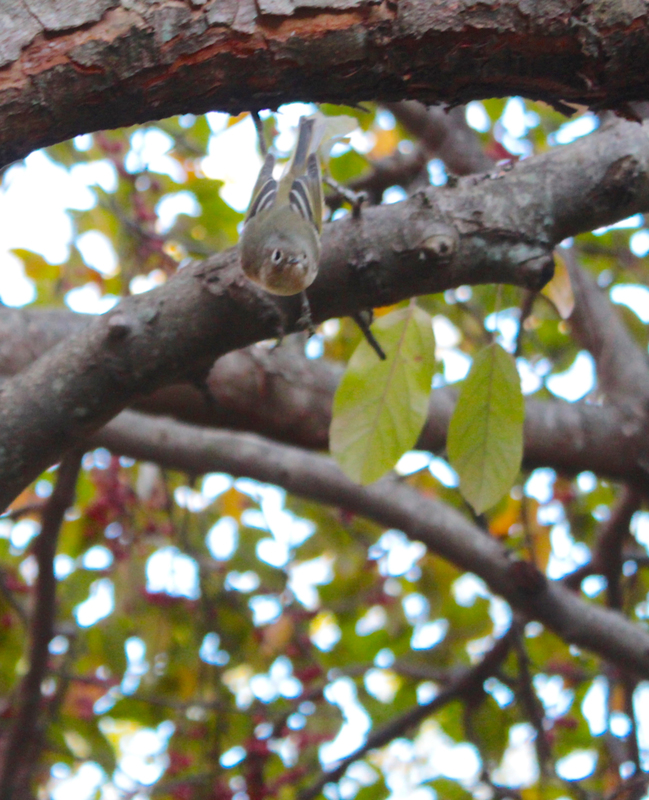 A Ruby-crowned Kinglet (Regulus calendula) was flitting from branch to branch totally ignoring the fact that I was working just feet away. This bold little friend foraged beneath the bark nonstop for insects making it almost impossible for this gardener to drop all and photograph it. I’ve always enjoyed watching the kinglet, both the Ruby-crowned and the tiny Golden-crowned as they migrate in the spring and fall. This one is on its way from breeding grounds of northern New England, Canada, and Alaska to southern United States and Mexico and beyond. 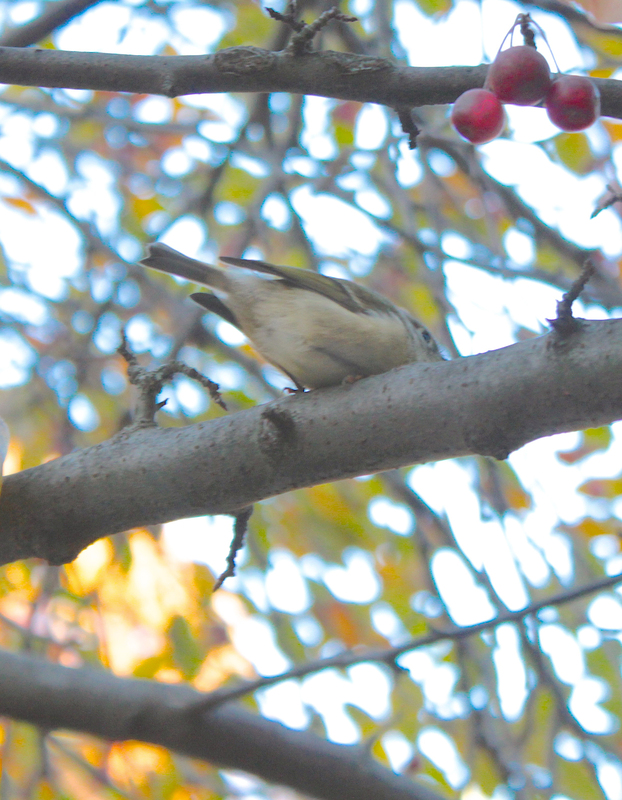 A bit blurry but this shows the distinct eye ring and bold wing bars that help identify a Ruby-crowned Kinglet from the Golden-crowned. The scarlet crown patch was not visible so either it was concealed by feathers, as it often is, or this 4″ bird is a female that does not have the patch of red. One last flit of the tail and it was off to warmer climes. 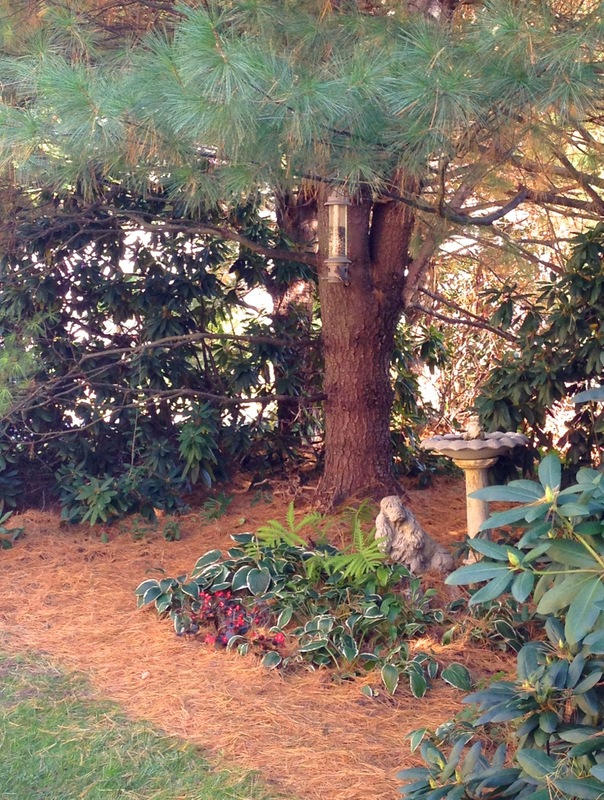 When I saw the scraggly thicket along the foundation wall of our new home, I made a mental note that it needed to go. 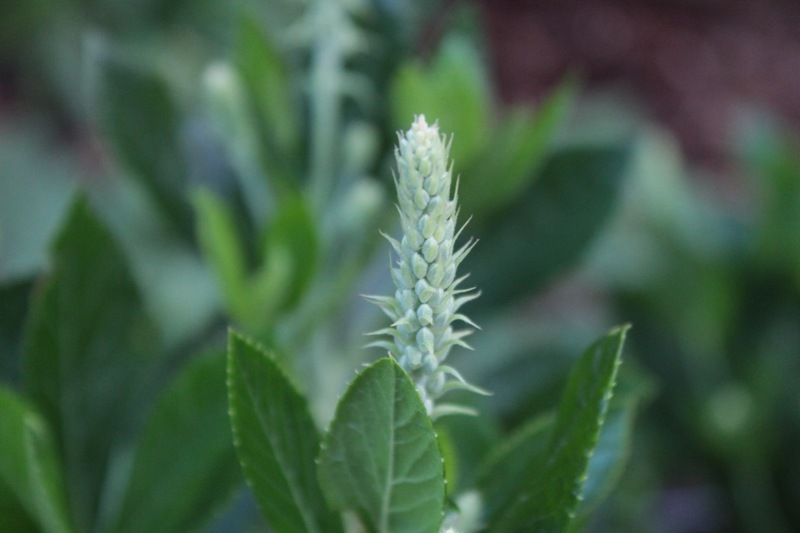 Summersweet (Clethra alnigolia), was planted in the wrong place. This native plant looks lovely along the edge of the property but as a foundation plant, it was a tangled, unruly mass that grew in all directions. I planned to do the deed as soon as spring thaw arrived. The shrub does sucker and tries hard to grow into that thicket again. I simply don’t allow that. With a sharp bladed shovel, I chop through each sprout to keep the shrub tidy and I make sure I don’t over water as it seems to sucker more in wet soil. Late fall or early spring, I will prune out the dead and remove some of the oldest stems at ground level since the plant blooms on new growth. Today I am enjoying another season of color from our clethra. 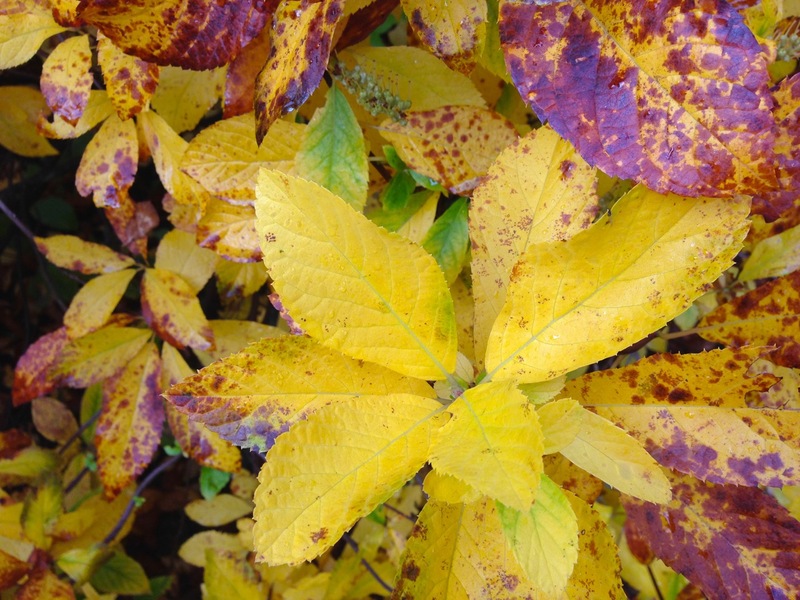 Autumn brings bright yellow leaves that add some interest to the yard. Yes, I’ll be keeping my clethra. 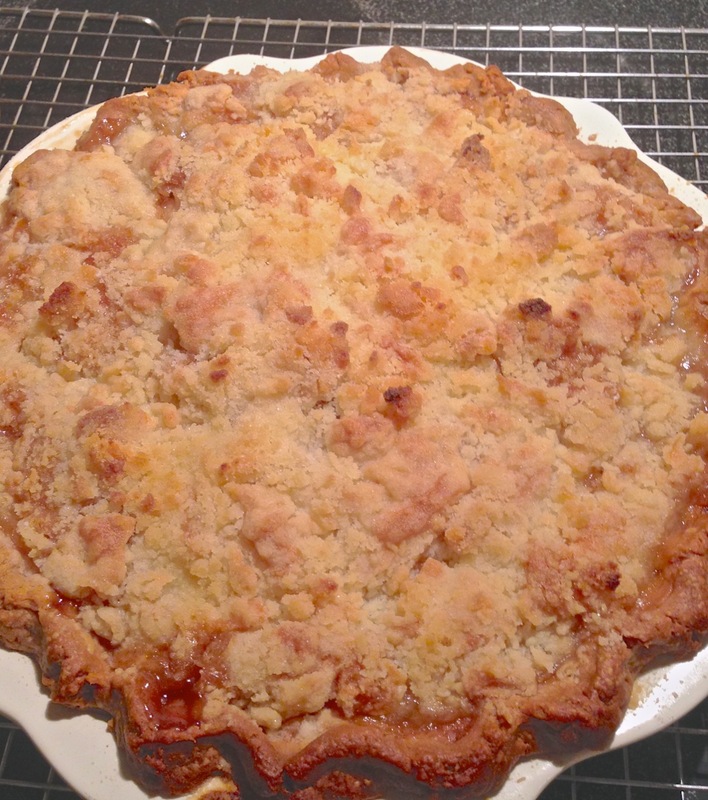 more welcome than the most luxurious Persian rug. It’s fall and the time of year for the white pines (Pinus strobus) to drop their soft, golden innermost needles. These are the 3rd year needles that drop swiftly after yellowing and cover everything beneath. For me, it’s a welcome opportunity to do as I have always done as a Virginia gardener. 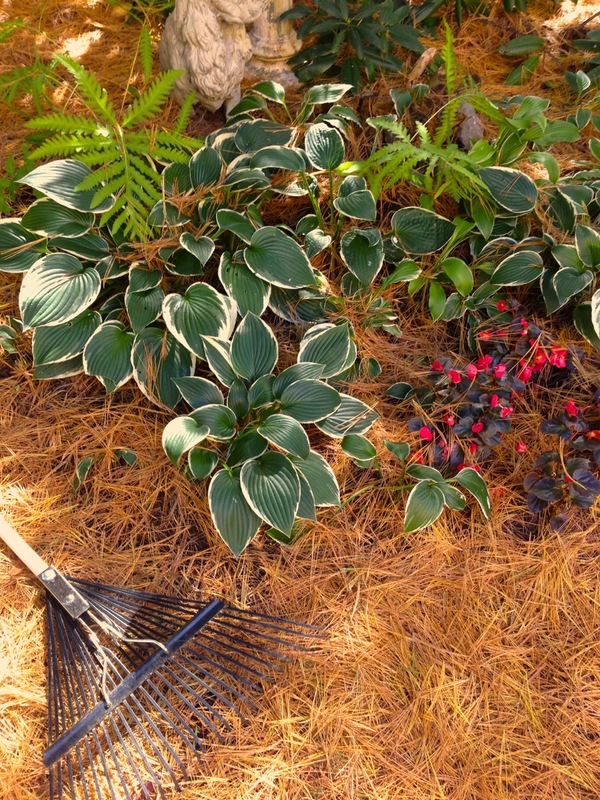 I rake piles and piles of needles and create the most beautiful mulch for borders. In the spring new needles will replace the old on white pines and the annual needle drop will again be scheduled for next fall…. only there won’t be a spring or next fall for these old trees. The home association has voted to remove them all. I understand some of the rational for removal. The trees are large, a soft wood growing too close to homes. I’ve seen pine trees snap in two and several pines uprooted around the yard during storms in Virginia. These pine trees shade several yards and homes including ours. We could use a bit of passive solar energy during the long, cold winters. Finally, mister gardener complains about not finding one single spot with enough sun to grow a simple tomato plant. There is something about the fall season that lifts my spirits. The air is clean under crisp blue skies and the vibrant foliage can take your breath. You just want to step outside and bask in the beauty of buttery yellows and blazing reds of the maples, elms, birches and the sumacs that front every wood line. 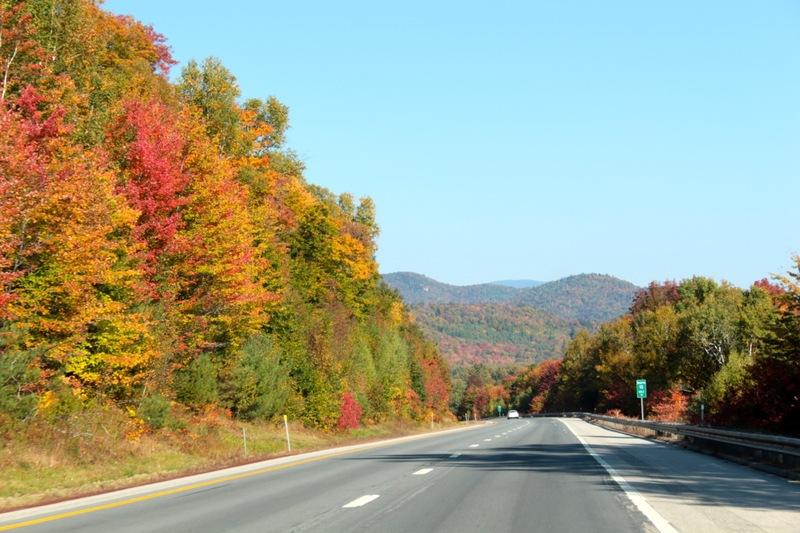 Fall colors are reaching their peak right now on the Kancamagus Highway, the National Scenic Byway from Lincoln to Conway NH, and I’m sure the hoards of leaf peepers have arrived. A year ago we ventured up during the peak of color and found the 35-mile road through the White Mountain National Forest bumper to bumper with cars, campers, and buses. We hardly found places to pull off and park for the perfect views. 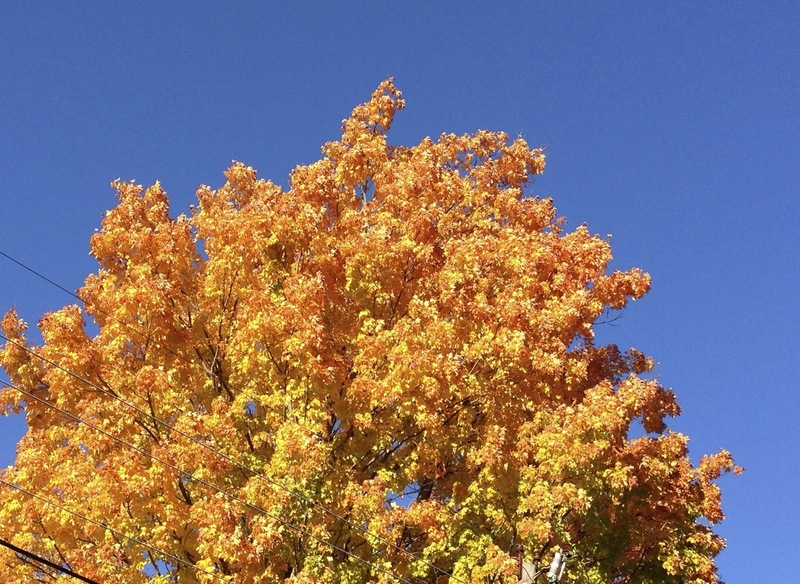 This year we thought, “Wouldn’t it be a neat idea to beat the leaf-peeper invasion?” Yes! So last weekend we jumped in the car for a pre-peeper drive on the Kancamagus Highway just to see what we could see. We hoped to arrive just before peak color and see the emerging reds, oranges, and yellows mixed with the cool, green of conifers without the distracting flood of vehicles driving bumper to bumper along the way. The timing was perfect as we had the approaching highways almost to ourselves. The colors were a little cooler in the distance but quite grand. It was a peaceful and enjoyable drive. 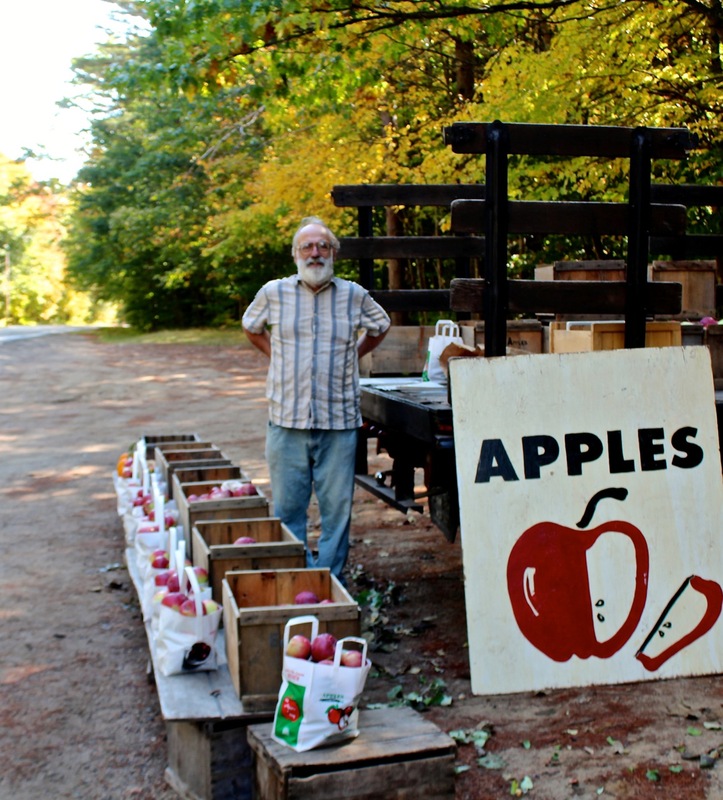 A special delight was visiting the same apple orchard farmer as last year whose truck was brimming with juicy just-picked apples and some fresh vegetables. This time we sampled and bought a bag of crisp Mcintosh.